An opportunity has arisen for an administrator to work within the Education Team to support and help facilitate their work. Most events are during working hours but there may be a need for a small amount of flexible working. Support the administrative effectiveness of the Education team. Provide high quality and reliable administrative assistance. Maintain and update records, and ensure organised filing systems. Prepare letters, produce spreadsheets and update databases. Organise meetings and appointments, and support use of shared calendars. Verbal and written communication within and beyond the department, maintaining excellent relationships between schools and the diocese. A good standard of education with 5 Grade C or above GCSEs (or equivalent), to include Maths and English. Some understanding of the belief systems which shape the life of the Church and how this may affect safeguarding work in the context of the Church of England. 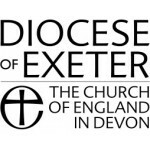 The central office is the Old Deanery, Exeter, where there is a team of around 70 Diocesan staff whose work is arranged to focus on a number of the goals of the Diocesan vision and strategy, ‘Grow in Prayer, Make new Disciples and Serve the People of Devon with Joy’. These staff work in the following teams: Education, Mission & Ministry, Church & Society, Communications, Property & Church Buildings, Finance, Safeguarding, Vocations, Synod Office, Archdeacons Secretaries, Counselling & Pastoral Care Service and our exciting new Growing the Rural Church Project.